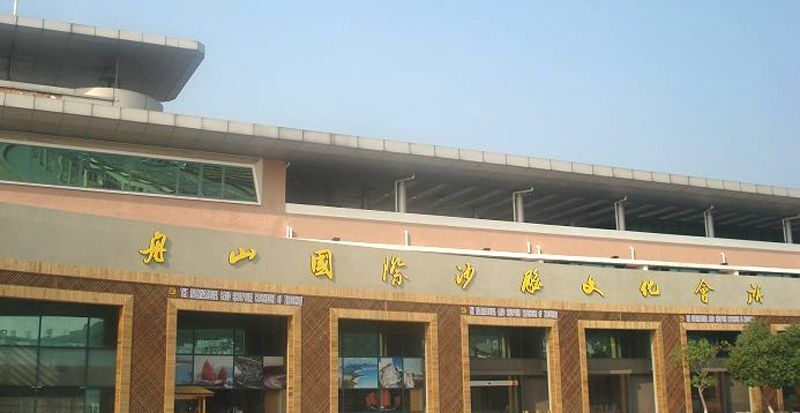 ZHOUSHAN International Sand Sculpture Clubhouse is the first indoor sand sculpture hall, a play all year round paradise of sand, sand sculptures, an exchange of art salon, a witness to the development process of Zhoushan Sand Sculpture Art Museum. Zhujiajian to Putuo District sand sculpture plaza, into the newly built Zhoushan International Sand Sculpture clubhouse, sand sculpture on the first floor hall, recreation club, a 2.5 m high, 25 meters long giant sand sculpture mural "Fantasy Sand Sculpture," blow on one's face and to: Moonlight Bay sand dunes rolling, monumental sand sculpture from the Great Wall and other "wonders of the world" to the Beijing 2008 Olympic Stadium Bird's Nest "Olympic sports development", the entire group of paintings from the sheet music interspersed connection, played with sand movement - - Who in the pool the sea of inspiration, who piled sand dream ... ... it's been their golden sand sculptures murals and stories about the strange, deeply moved, Surrounded by sand sculpture has a feeling of culture. Now Zhujiajian tourism and sand sculpture activities concentrated in the summer. Zhujiajian other seasons of the sand culture is relatively strong enough, visitors will feel "sand sculpture home" is somewhat overstated. Extend the tourist season from Zhujiajian Beach, to consider the development of industrial sand sculpture, sand sculpture Zhujiajian tourist use of square MC ship building, to create a sand sculpture at present the only international club culture, to further carry forward the sand sculpture culture, rich square scenic content, making it a new tourist attraction Zhujiajian. Indoor sand sculpture hall to clubs, sitting in "Sahara" sand Ikegami, look around: head, blue sky, white clouds blossoming; feet, 600 square meters, "the beach" soft as cotton; side, tree, ancient and other man-made tropical Teng Plants "lush", smooth pebbles both the rise of the river gurgling streams; lobby both sides of the wall things, displaying the International Sand Sculpture Festival and the famous China Zhoushan International Sand Sculpture Festival Previous wonderful picture, sand sculptures, sand sculptures, the process of presentation drawings and tools; Hall different corner Scattered and in a scaled-down display many fine international sand sculpture ... ... people in this environment together, said sand sculpture history, chat sand sculptures. On the first floor of the south, is a "play sand bar." Can play in the sand here, collage, base castle, you can also hand in the sand sculpture under the guidance of hands-on creation of small sand sculpture, sand sculpture as a back hand, had a play with sand on addiction. 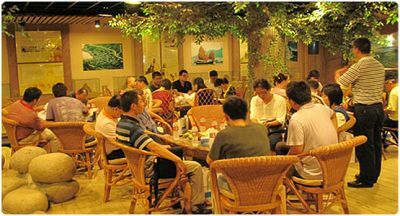 In the Zhoushan International Sand Sculpture clubhouse, felt full of sea air, sand sculpture of means, living in a non-seasons, not afraid of wind and rain of play sand paradise. Zhoushan International Sand Sculpture Company LTD.